A suspected car thief trying to evade authorities in central Florida was captured after some heroic bystanders — a herd of cows — helped corral the woman and lead her to officers, according to the Seminole County Sheriff's Department. Police said Jennifer Anne Kaufman crashed a stolen Subaru Sunday night after a brief chase and hoofed it into a nearby pasture in Sanford. A passenger inside the SUV also attempted to flee but was captured by police K9, the Orlando Sentinel reported. A third woman stayed inside the vehicle and was taken into custody. Video captured by an SCSD helicopter shows Kaufman stumbling upon a herd of about 20 cows who promptly start galloping after her. 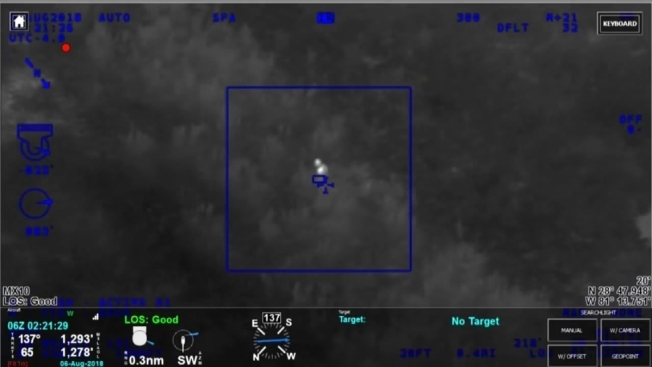 Someone inside the helicopter can be heard in the video advising Sanford police officers on the ground "for good visual" to look for the "large group of cows" chasing Kaufman. "Looks like they may attack her," the person adds as the cows move in closer to Kaufman. The cows eventually cornered the suspect at a fence along a nearby dirt road, where waiting deputies took her into custody. Kaufman, 46, is being held on a $4,500 bond. Charges against her include resisting an officer and drug possession. An arrest report did not have an attorney listed for Kaufman who could comment on the charges.